Biker leather jackets are surely the best of all defining pure dynamic and stylish fashion in this world around you. It will remove the hunger of your soul to get dressed bombarding in millions of people. 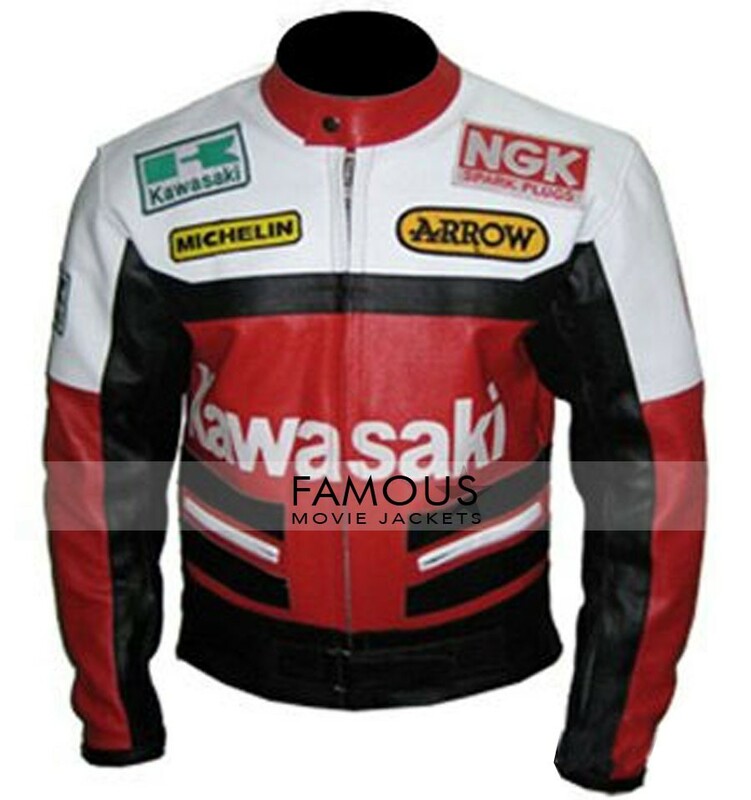 The total Red and white Kawasaki Motorcycle Jacket is the cool representation of faith and trust full fashion for all bikers watching this. We feel really happy for you Because you are getting such a great thing which is admiring the best concerned sensible people. 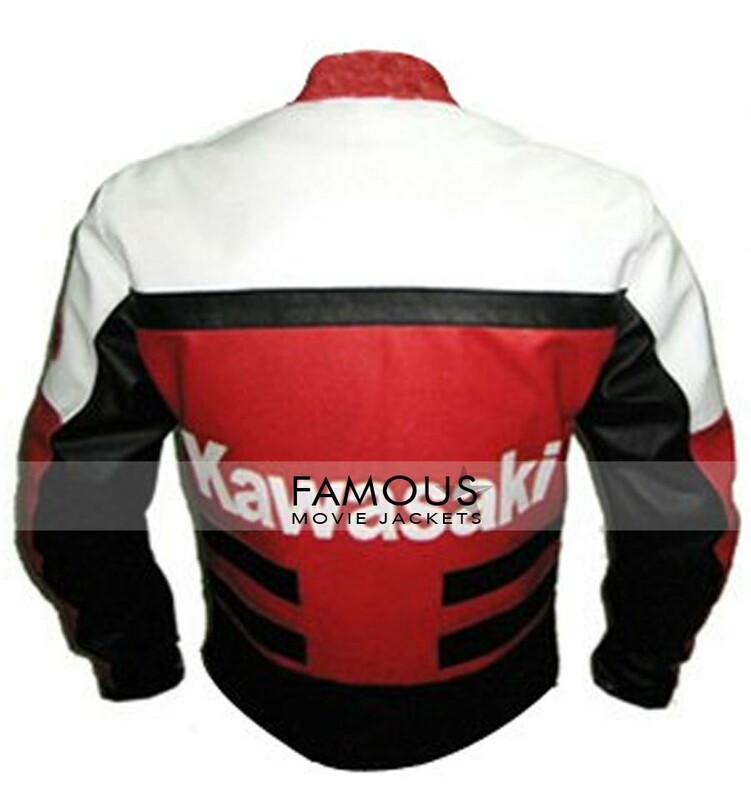 Aware about new fashion is the charm of this Kawasaki Red & White Motorcycle Racing Jacket which will even satisfy you too. It features with red black collar. Full sleeves biker fitting and round neck collar with Zipper closure in front. It is seriously rocking to wear on your body and riding on your hot bike. Get it before its too late. I got this Kawasaki Red Motorcycle Leather Jacket cloth a month a ago and wears this in every friend hangouts to all extends.Love to wear with T shirts.